Helpful Information About Sleep, Mattresses and Bedding Products. : Need to lower your bed ? Here is some ideas. Need to lower your bed ? Here is some ideas. Is your bed just to high off the ground. Maybe a recent surgery has cause the need to lower your bed a little. Lowering your bed just a few inches can make a big difference in how easy one can get into a bed. Here are a couple of easy solutions for you. Typical metal bed frames are 8 inches tall. Here is a low profile metal bed frame that is only 4 inches tall. 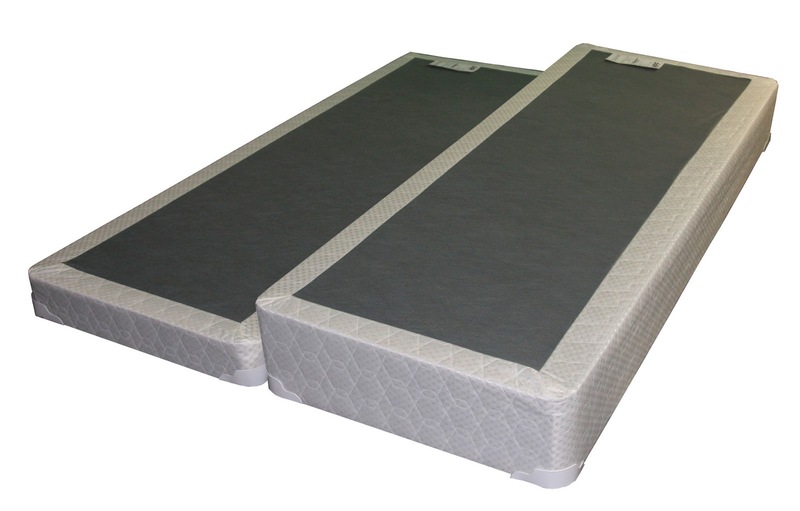 Made in USA by Knickerbocker premium metal frame is designed to have a low profile that keeps the height of your mattress several inches closer to the ground than a traditional metal frame. Click here to view or buy a low profile metal frame for only $ 109.00. Another option to lower your bed is to get a low profile box spring or box foundation. The picture shows how a low profile is half as tall as a standard height box spring. Low profile box spring are typically 4.5 inches tall. Click here to view or buy low profile box springs.